At Chateau on the Lake, Branson Landing, Kimberling City, Hollister, Rockaway Beach and more! 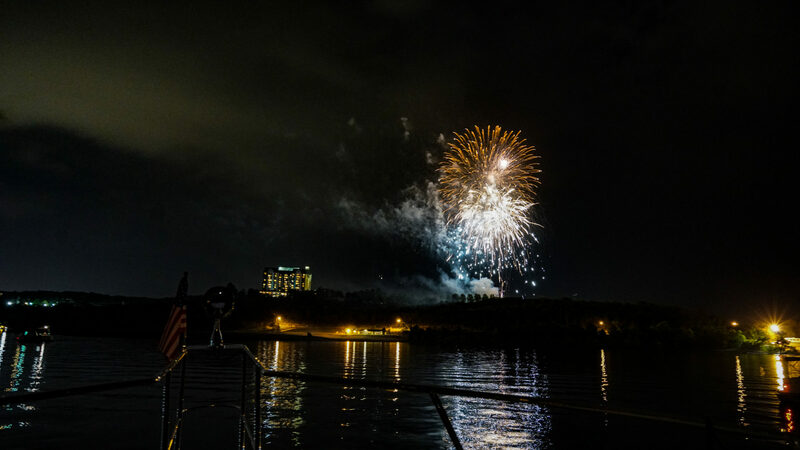 The 4th of July will be coming up soon and there’s no better place than Branson to take the family for a little weekend get-away to celebrate Independance Day. Of course, here in Branson, we celebrate Old Glory year round. Visit any of our popular shows and you’re bound to see them honoring our great Country and the brave men and women who have served to protect our freedom. But on the 4th of July, we kick it up a notch! You’ll find events such as fireworks displays, old fashioned barbecues and picnics, and more, all extolling those virtues that make America the greatest nation in the world. 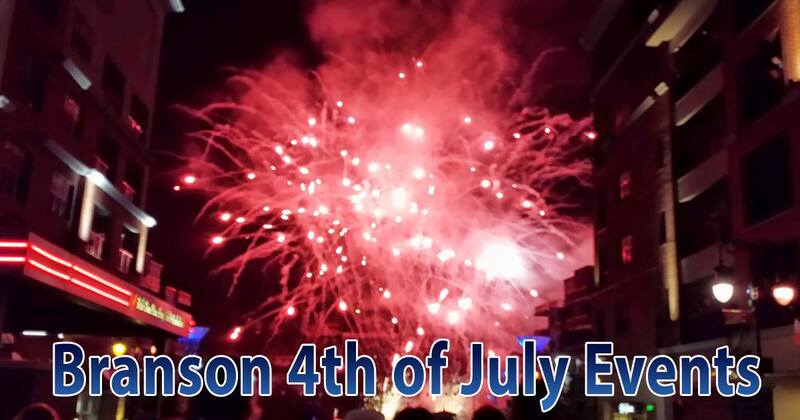 See for yourself some of the events that Branson has in store for the 4th of July. Branson Landing 8th Annual Liberty Light Up – Friday July 3 – The Liberty Light Up Concert will feature the incredible Sandi Patty, the Springfield Symphony Orchestra, Dino and Cheryl Kartsonakis, Denver and the Mile High Orchestra, Cor Captis, and Cadence! 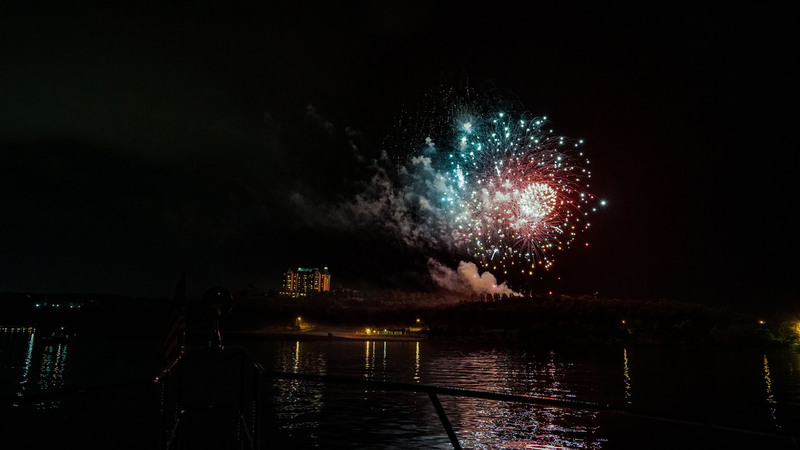 Following the concert, Branson Landing’s 8th Annual Liberty Light Up will light up the skies over Lake Taneycomo with an amazing choreographed Fireworks Display Show produced by Gateway Fireworks Displays. Chateau on the Lake Fireworks Display – Saturday July 4 – Enjoy an outdoor BBQ, complete with live music. Then stick around as the evening sky over beautiful Table Rock Lake, lights up in celebration of our great land. Big Cedar Lodge Fireworks Celebration – Saturday July 4 – The Swimmin’ Hole will feature fun filled games, attractions, contests, crafts, entertainment, pony rides, and food. At 7:00 pm, enjoy Great, live music, from Clay Self Band. Then at dusk, Big Cedar will light up the sky with a world class fireworks display. The 15th Annual Fire Cracker 5000 & 10K – Saturday, July 4 – Participate or just root on the runners in both 5k and 10k runs. There’s also a 1 mile ru/walk for those who prefer a nice stroll to running, or may have children who wish to get in on the fun. 62nd Annual Hollister 4th of July Celebration – Saturday July 4 – The Grandaddy of fireworks displays in the area, the Hollister 4th of July celebration is an annual tradition. Bring your lawn chairs and stake out a good sitting spot early, because folks come from far and wide for this one! Whether your just coming to Branson for the 4th of July weekend, or planning to stay a little longer. our experienced travel agents can not only save you money, but the hassle of planning your trip as well. All you have to do is focus on all the fun you’ll soon be having in Branson, while we handle the heavy lifting! And if you decide to take in a few of Branson’s award winning shows and attractions while you’re here, we can arrange that, too. All at a fraction of the cost of planning your trip alone. Contact one of our knowledgeable travel planners today, and we’ll see you in Branson for the 4th of July! Keep Up to Date with our BTPA Facebook Page! Branson Travel Planning Association is at Welk Theater. The Official 2019 Branson Music Festival Lineup is here!